One Nil to Fergus Ewing. Ding ding, next round! 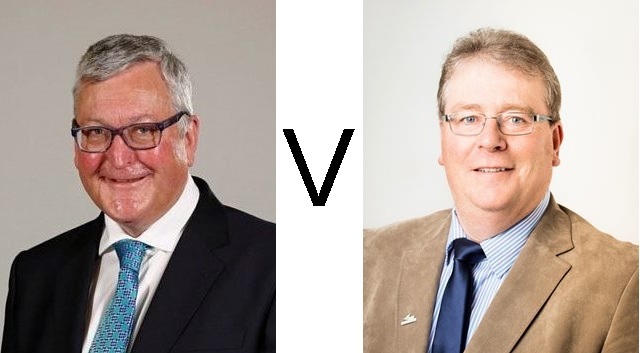 BBC Naidheachdan have reported that Fergus Ewing, Cabinet Secretary for the Rural Economy and Connectivity with responsibility for crofting, has been cleared of any wrongdoing in the complaint brought against him by the Convener of the Crofting Commission, Colin Kennedy. The Secretary for Rural Economy was not breaking any rules in the way he dealt with the Crofting Commission. This was the outcome of a review by the Secretary of Justice, after the Convener of the Commission, Colin Kennedy, raised several complaints against Fergus Ewing. Mr Kennedy raised his complaints after a controversial Commission meeting in Brora, Sutherland in September. He questioned decisions made by Mr Ewing in connection with the Commission. Mr Kennedy was angry that the Commission had to excuse crofters in relation to how they handled the grazing committees disputes. Since then there has been controversy surrounding Mr Kennedy and there has been pressure on Mr Ewing to ask Kennedy to stand down. It has not been possible for Ewing to deal with the Commission whilst this review has been underway. Now the government has confirmed that the review conducted by the Department of Justice is over, and that Ewing did nothing wrong. The question now is what will Ewing do with all his freedom to make decisions regarding the Commission. Directions were given to Mr Kennedy by a Scottish Minister. It would appear that Mr Kennedy refused to accept those directions and instead lodged a complaint against the Scottish Minister in question. The Scottish Minister has been completely exonerated in what would appear to have been a vexatious complaint. Will Mr Kennedy therefore now accept those directions which will involve him personally issuing a public apology to the three grazings committees removed from office by the Crofting Commission in Mangersta, Upper Coll and Bohuntin? Or is it a case that ‘hell will freeze over‘ before he does that? Will Mr Kennedy now accept the Scottish Government’s position on disbursement of common grazings funds and receipt of SRDP funding which has been accepted by his fellow commissioners but which he has been very vocal in disagreeing with? Mr Kennedy is, in any event, not well known for representing the views of the board of the Crofting Commission to the general public despite it being one of his “particular responsibilities“, as convener, to do so. He is also, as highlighted in my last post, completely at odds with the board and appears to be refusing to follow the doctrine of collective responsibility. Fergus Ewing did say some time ago that it is not sustainable for the Scottish Government and one of its public bodies to take opposing interpretations of the law. Is it sustainable for the Scottish Government and the Convener of one of its public bodies to take opposing interpretations of the law and to be in continuing conflict over those interpretations? The governance review of the Crofting Commission was published last week and referred to “notable failures in governance within the Crofting Commission“. The review made reference to “strong personalities, differences of opinion and apparent incongruent individual objectives and priorities” having “impaired effective and efficient governance“. I will look at this governance review in some detail in forthcoming posts on this blog. This entry was posted in Crofting Commission and tagged apology, BBC Naidheachdan, Bohuntin, Brora, Cabinet Secretary for the Rural Economy and Connectivity, Colin Kennedy, Common Grazings Funds, complaint, Convener of Crofting Commission, Crofters (Scotland) Act 1993, Crofting Commission, Crofting Commission Board, Crofting Commissioners, crofting governance, directions, Fergus Ewing, Fergus Ewing MSP, governance review, grazings committees, Mangersta, Scottish Government, Scottish Ministers, SRDP, SRDP funding, Upper Coll, vexatious on February 14, 2017 by Brian Inkster. Glad Mr.Ewing has come through it in flying colours, K will not be a happy a chappie.. no matter he will doubtless have some other dastardly deed to replace that review with, he always does.. crisis to crisis to crisis.